An article in the most recent Harvard Business Review got me hopping angry because it undercuts the value of PR and communications. Some background: The piece was about TED, that marvelous convener of great minds and ideas, and how it had appeared to lose control of its brand through its TEDx gatherings. 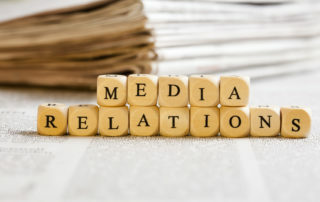 A communications or public relations practitioner may be your best ally and resource when seeking or refining strategic communications to reach key audiences, build support, and deliver more dollars to your bottom line. It’s a tough and scary job market, whether you are just starting out or a more seasoned candidate. But many job applicants make their task even more difficult because they present themselves poorly, an especially vexing problem when the job being sought is in the communications arena. Here are some thoughts on personal presentation skills. Not long ago, the daughter of a friend asked me what she should major in for a career in PR. Without a moment’s hesitation, I said it doesn’t matter as long as you know how to think and how to write. If you can do those two things, you’ll be successful in public relations or for that matter in almost any career. The earthquake in Japan and dangerous situation at the Fukushima nuclear power plant reminds us of how quickly and suddenly disaster can strike. Compounding the terrible human tragedy is the sense that people do not trust the information they are receiving and feel that the power company is not telling them the truth. 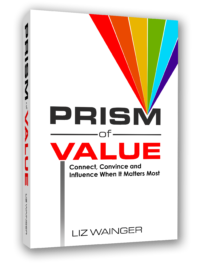 t’s a great premise–the CEO leaves the swank office and corporate jet behind to go out into the trenches and see how the real work of the company gets done. Sometimes it means sweeping floors, getting hands dirty and hearing stories of hard work and hard lives, good managers and bad. A few days ago, I heard presentations by Brian Solis, Deidre Breackenridge, and Lee Oddenat a virtual conference that Vocus put together called Retweet: Engagement Means Business. I’ve always been energized by how much there is too learn, how much to know in the world but after listening to these presentations, it struck me as overwhelming.